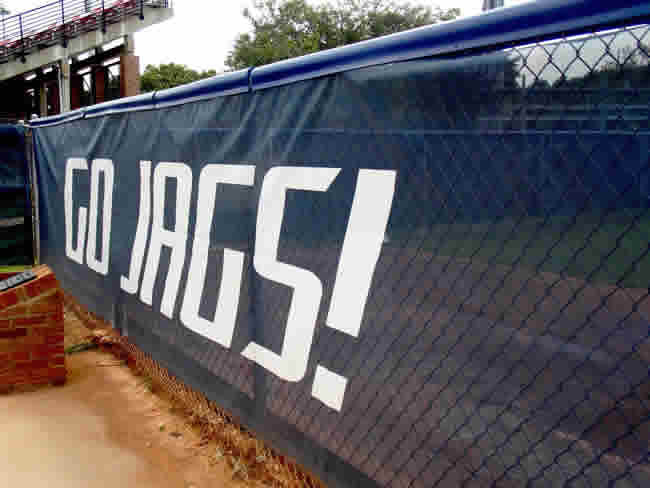 ETP’s windscreens are easy to install and will provide sport players and spectators with an admirable visual background while adding a finished, professional look to your field and/or enclosure. ETP’s windscreen fabric is a very versatile woven recreational fencing fabric. Available in several different styles and choice of any width. Can be used for Tennis, Baseball, Construction, Crowd Control fencing, Visual barriers, Privacy screening and much more. Fabricated to your specifications , yet still economical. The heavy duty grommets resist tearing. Material is UV resistant for years of use.